I like Michael Twitty’s “alternate history” ideas. HBO’s show is taking the easy (lazy) way out, IMHO. Time for some fresh stories that center around people other than white guys. Ok. HBO has created tremendous buzz about a show that has everybody talking, even me. 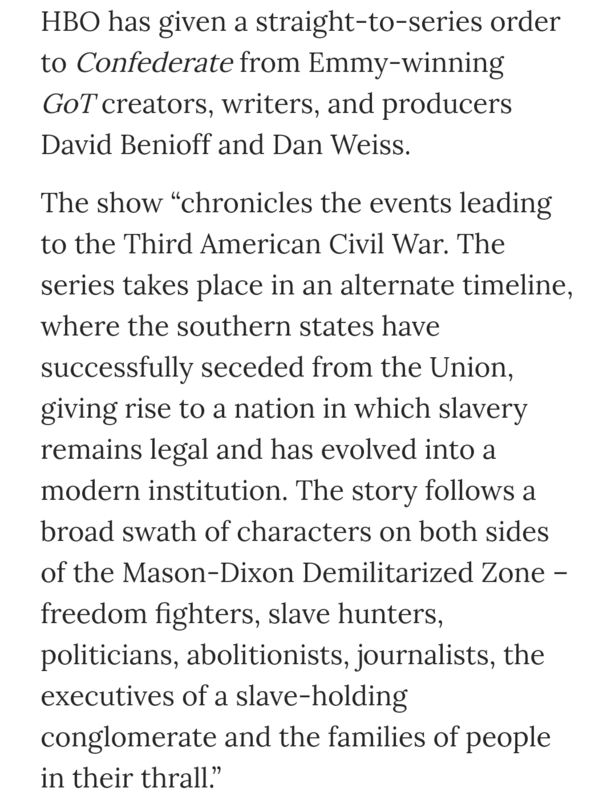 It’s a show called “Confederate,” the South won, time moved on, slavery and abolitionist sentiments and battles over freedom evolved through our own day. But wait, isn’t that already the reality we essentially live in micro form now? ← The Heroine’s Journey: The Monomyth with a Female Perspective Part I.